L-R: Former NHCP Chair Maria Serena Diokno, CSIC Institute of History Director Consuelo Naranjo and Ms. Maria Dolores Elizalde during the opening ceremony. The National Historical Commission of the Philippines (NHCP) and the Spanish National Research Council (CSIC) conducted a two-day conference entitled, “Modernization of the Philippines in the 19th Century” at the CSIC Institute of History from 1 to 2 June 2017. The conference was divided into the following topics: Modernization Policy, Education, Economy and Urbanization, Infrastructure and Resource Management and Health and Medicine. 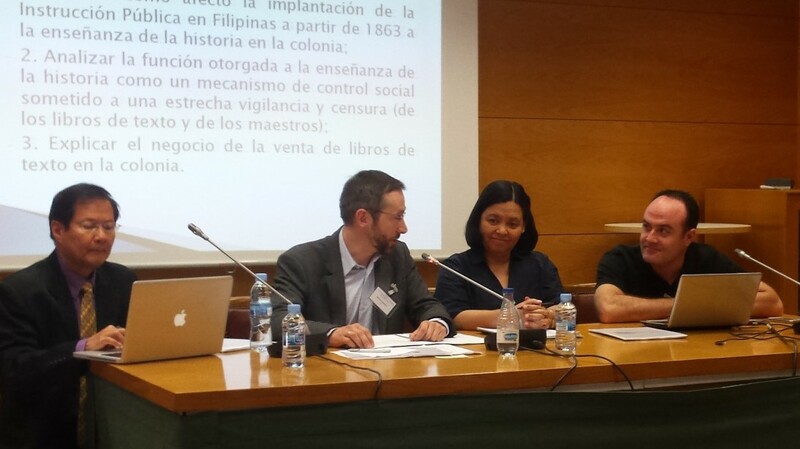 L-R: Filomeno Aguilar of Ateneo of Manila University, Eberhard Crailsheim of CSIC (moderator), Maria Teresa Trinidad Tinio of Far Eastern University and Juan Antonio Inarejos of Universidad Extremadura during the session on Education. 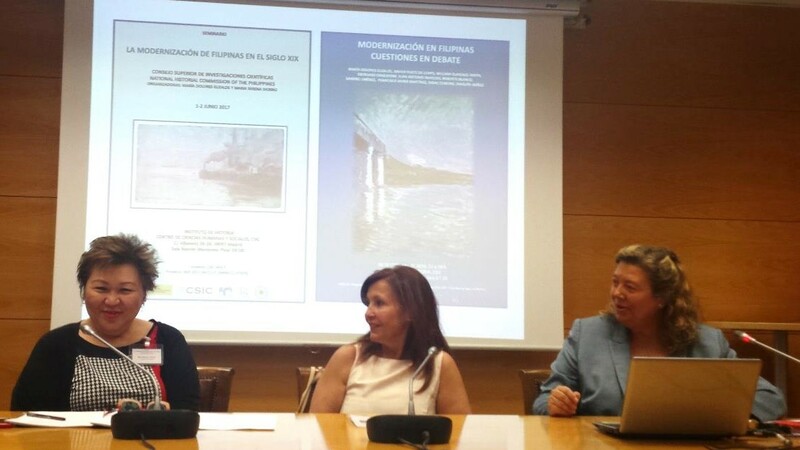 The conference was conducted under an Agreement on Academic Collaboration between NHCP and CSIC. It was also in line with the celebration of the 15th Philippine-Spain Friendship Day and the 70th Anniversary of the Establishment of Diplomatic Relations between the Philippines and Spain.